You are currently browsing the tag archive for the ‘Nou Hope’ tag. We were able to purchase two of the One World Futbols (one for each the village of LaMare and Terre-Salei’s futbol teams). 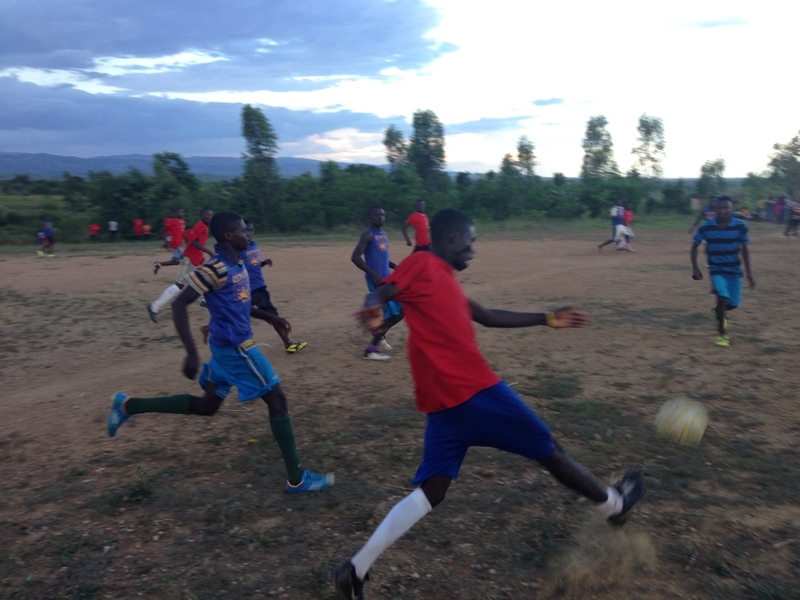 We also purchased two other regular soccer balls for the villages (see photo from Sunday’s futbol match with ball being used) along with some pump needles that were given to the coaches of the two teams. We then dispersed funds to our partners so they could purchase two more game quality balls in country and then hire locals (from the village of Terre-Salei) to make 200-250 jump ropes to be distributed to several schools in the area. Thank you for partnering with us! It is good to see the people in the village playing. Ball Project is thankful for all of our partners around the world working to help children play & smile. & Ball Project is grateful for One World Play Project‘s great balls – they are great, pretty much indestructible & sure help a lot of kids around the world play. Greetings. I was able to get more news and photos from previous funds dispersed to partners in Port au Prince for equipment purchased (through Foundations for Haitians). They purchased a basketball hoop and ball as well as a soccer goal (for street soccer) and a ball…. One thing to note is that even the really nice (and expensive balls) purchased in country don’t last long in the elements in Haiti. That’s been a bummer. Thank you!! Even high quality soccer balls don’t last long on the dirt & rock soccer fields where a lot of our partners work. But they keep working & so do we. & the children keep playing. We are grateful for our partners around the world working hard to help children by helping children play.